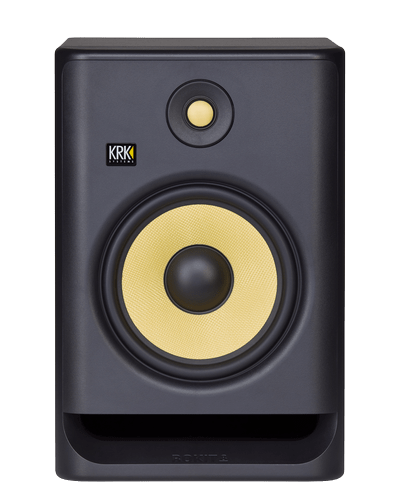 The new 8" KRK ROKIT RP8 G4 (Generation 4) bi-amp professional monitor takes music and sound creativity to a whole new industry-level.DSP-driven Graphic EQ with 25 settings help condition your acoustic environment while offering new levels of versatility in a studio monitor. 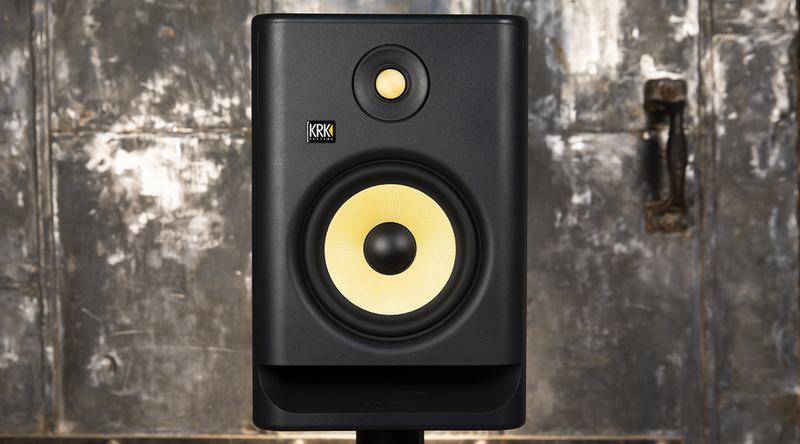 Matching drivers made with Kevlar® ensures the same sonic integrity across all frequencies. A new scientifically designed speaker enclosure and front-firing port offer exceptional low-end extension and accuracy, punch and flexible room-positioning. 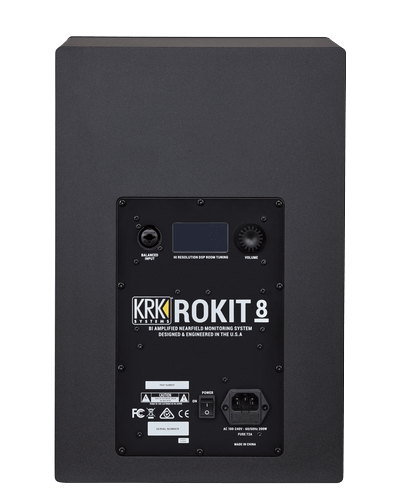 The new powerful, yet efficient custom Class D power amplifier drives the speakers evenly and more efficiently at reduced operating temperatures and improves audio integrity. 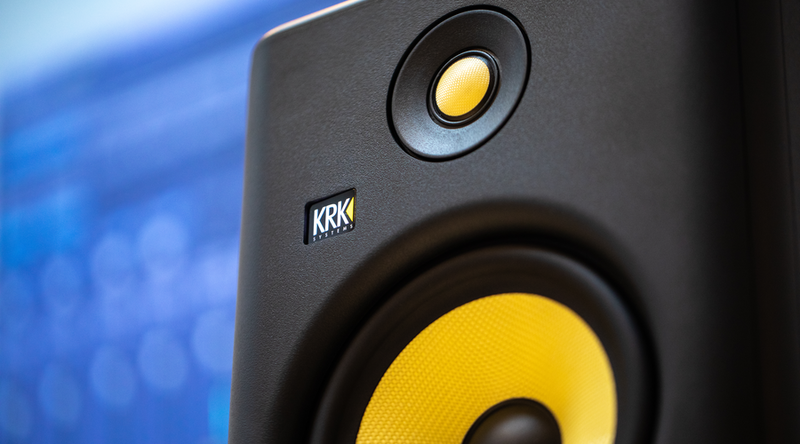 Building on over 30 years of monitor innovation and countless developmental partnerships with successful award-winning music and sound productions, the new KRK ROKIT G4 line has been scientifically re-engineered from the ground up for the way modern artists work—in all genres and environments. Matching driver design ensures the same sonic integrity across all frequencies, minimizes listening-fatigue, and offers unprecedented clarity and sound reproduction. 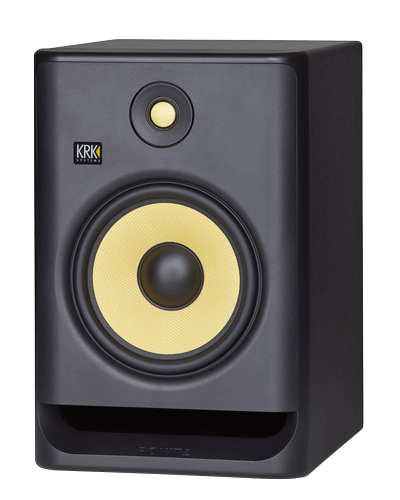 An incredibly versatile and sonically accurate monitor. 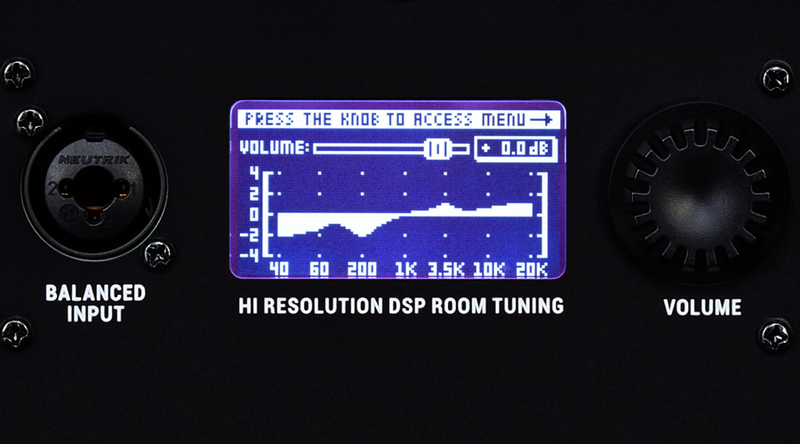 DSP-driven Graphic EQ with 25 settings help condition your acoustic environment while offering new levels of versatility in a studio monitor. High quality enclosure with a newly-designed front-firing port offers exceptional low-end extension and accuracy, punch and flexible room-positioning.